When you need guidance making decisions, want to resolve emotional and health issues or want to understand your purpose in life and the events that surround you, turn to past life regression. 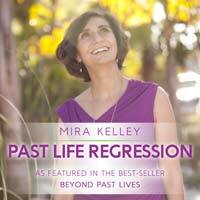 Whether you work with Mira in a personal session, in a workshop or with her guided regression CD you will be able to explore your past lives. Mira will guide you to connect to your Higher Self, your guides and angels and to receive answers to the questions you have. People are able to transform powerfully when they experience the stories and the profound lessons of their past lives. 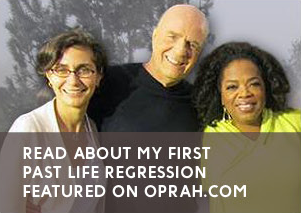 Learn what is past life regression and how it can transform your life. “I spent one spectacular afternoon in a hypnotic time lapse in which I was taken on a magical journey into a past life with Mira Kelley. In fact, I was so taken by this experience that I included a verbatim transcript of the entire past life regression in my latest book titled Wishes Fulfilled. This remarkable woman put me totally at ease as she skillfully guided me through deeply ingrained but long repressed memories that brought me to a new level of awareness of who I am and what path I was to take. I can still recall vividly even the most minute of details that took place in our life changing session together, and I feel such a sense of clarity about my life path up until now, and more significantly about the direction I now feel compelled to follow. The thing that resonates so profoundly with me since our session together is that I understand not only what I have been doing and why, but what I now know I must do in the future.